RedtailBoa.net - Isaac’s Ark shows off some of their nice boa constrictors out in the Canadian sunshine. 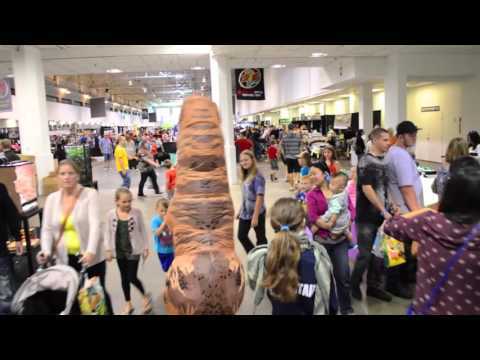 Urban Jungles Radio - Watch as Danny and Andy of Urban Jungles Radio unleash T-Wrecks and more upon the city of Toronto at the fall Canadian Pet Expo/Canadian Reptile Breeders’ Expo. Reptile Insider - Ken Baumgarten of Mainely Boas shows off some very nice boa constrictors. Reptiles Canada - A member shows off a few of their handsome boa constrictors in these nice pictures. Reptile Insider - Beefy Boas shows off their nice collection of boa constrictors, as well as a reticulated python and ball python. Captive Bred Reptile Forums UK - Mad About Boas shows off a stunning selection of beautiful boa constrictors.